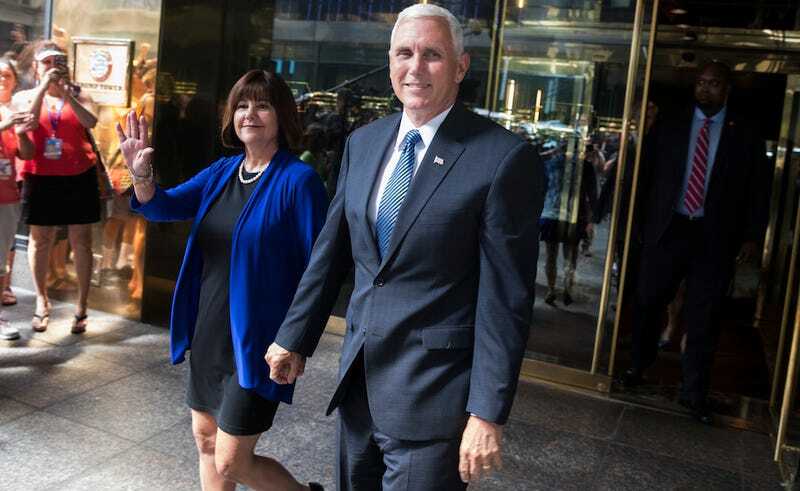 In a devastating early casualty of the Pence-Trump alliance, Indiana First Lady Karen Pence has put “That’s My Towel!” Charm, Inc. “on hold” this weekend shortly following her husband Mike Pence’s formal confirmation as Donald Trump’s running mate. Just to refresh your memory, Towel Charms are little decorative silver charms that attach to your towels so you can a) tell your presumably matching towels apart and b) improve the look of your towels. The Towel Charm, much like the Religious Freedom Restoration Act, is a solution to a problem that only exists in the mind of a lunatic. Although exact timing is unclear, Fusion notes that towelcharm.com went dark less than 24 hours after Trump officially announced Pence as his running mate on Saturday, and less than 48 hours after Jezebel first reported on it. The company’s Etsy page has also been taken down. We have reached out to the governor’s office and the Trump campaign for comment, and will update if we hear back.